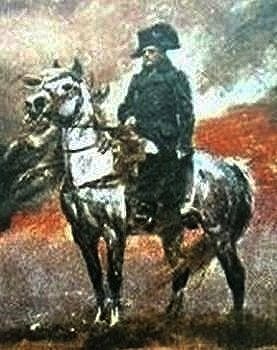 Our website has over 1,800 illustrations, maps, charts, articles about Napoleon's strategy and tactics, about the French, Polish, Prussian, Austrian, Russian and British armies, the Royal Navy, their organization, commanders, uniforms, orders of battles, books, clubs, reenactment groups, Major Sharpie etc. Contributors: Peter Hofschroer, M. Townsend, Oliver Schmidt, Jan Kowalik, Nikolai Mozhak, Boris Megorsky, Docteur Dominique Buresi, Rémi B., Richard Lysiak, G. Smith, Geert van Uythoven, Pedro Castilla, M. Ayala, A. Nuñez, Thomas Mischak, Andreas Hetzert, Erwin Muilwijk, Zbigniew Olszewski, and J. Jaye (webmaster). is not in my dictionary." He had no personal apprehension...."
J. Farington - "The Farington Diary"
If you have questions or additional information please send e-mail to webmaster J. Jaye (please, no genealogy questions). Boney will come and get you !